The Underworld is the third chapter of Doorways. It is not necesary to have the first chapters in order to play this game. But we recommend to do so for a better understand of the story. The other day we launched the final release at Steam. This one includes the fourth and final Act: The Temple where you will finally meet "The Roaster"
We also released a 360 video which shows you all the main environments in the game. That's right! You can look around on this one by dragging your screen! Thanks for all the support you have given us! Doorways: Holy Mountains of Flesh 2015-2016 Updates. The fourth and final chapter of Doorways: Holy Mountains of Flesh is now available at Steam as Early Access. For the first time in our country, the video game industry joins the film industry to craft something GREAT! 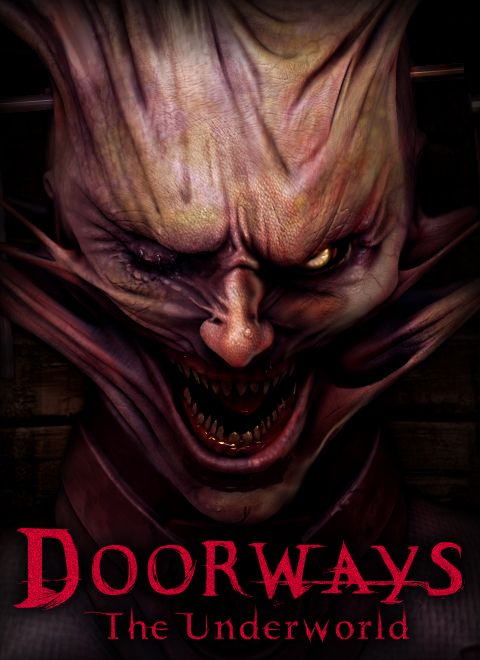 Doorways third chapter: The Underworld released and new trailer available. Why isn't this game more popular? One of the few titles I pre-ordered, congrats on the release! will play it as soon as I can. Just played it, WELL DONE GUYS! I am currently making a Let's Play of it on my channel Check it out if you have the time. The game is REALLY scary! Atmosphere is Top Notch! I am very excited to play the rest of this game I think it is going to be an EPIC Let's Play! So thanks to the developers for making a Frightening Horror Game! If i'm going to be honest this game looks so creepy and well done! The only thing I have a problem is that the enemy Legore looks a bit too similar to the enemy Chris Walker from Outlast. This looks absolutely awesome! Im a youtuber with over 8,500 subs. Any chance I could get this game a tad early to show people? If not, I cannot wait to play it once it comes out! :D great job! Tobias, great job... look's awesome!. Thanks Pablo! The same to you guys with Perturbia. Best of wishes to you and all the team!